This September get ready to enjoy an exciting free Forex competition at XM [read review] where all account holders are given $100,000 in virtual cash to participate in a gold and silver demo competition to win a prize pool of real cash! XEMarkets has developed this free Forex competition that allows Canadian online trading customers to trade only gold and silver during the competition period of September 2, 2013 to September 30, 2013 for a chance to win real cash prizes in different prize pool tiers. This XM [read review] gold and silver demo competition pays the top twenty traders at the end of the event, with first place taking home a whopping $2750 which will be deposited into the trader`s account with the ability to be withdrawn at any time. Second place receives $1111 and third $750! Even fourth through ninth place doesn`t walk away empty handed and is rewarded $458 with 11th -- 20th place taking home $240! What are you waiting for? 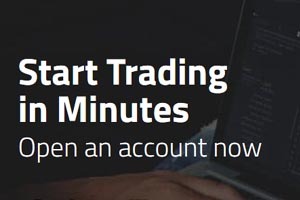 It is free to enter; all you have to do is create an account and join in the trading frenzy starting September 2, 2013.